Some people have a natural talent for decorating but for others, it’s a challenge. Just trying to figure out where to start can be stressful. There are so many decisions to make when decorating that it can be a bit overwhelming. For example, you need to decide what type of furniture to buy and whether to paint or decorate with wallpaper. Creating a beautiful décor is not as simple as it seems because you have to make sure everything goes well together. You don’t want the different colors clashing and you have to look for furniture that suits your style but that is also comfortable. There are many rules to follow when creating the perfect décor but the home decorating tips below can help you get started. It can be tempting to follow the latest decorating trend that comes along but it’s not always a good idea. Think about it before you decide to use a specific design in your home and don’t follow a trend simple because it’s popular. If it’s something that you truly like then it’s fine to use that design. However, if you don’t really like it, then you’ll find yourself wanting to change it long before you should have to. Color is important because it has a major impact on how you feel. Consider who will be using the room and its purpose before choosing the colors you want to use and it will help you make better decisions. For example, if you’re decorating a bedroom, you’ll want to use calm, relaxing colors but you’ll want brighter, energetic colors in a playroom. Keep in mind that you don’t have to match all of your colors and don’t be afraid to use bold colors throughout your home to give it a little pizzazz. When it comes to home décor, everyone has an opinion on what looks good. However, the only opinion that really matters is yours. Don’t choose a design or decorate with wall art because someone else said it looks good. You should never feel obligated to use items that someone else gives you either. After all, it’s your home so make your own choices and if you’re having trouble deciding, ask an expert. Our professionals here at J. 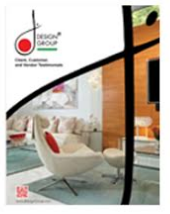 Design Group would be delighted to help you make the best decorating choices for your home. Placing all of the furniture around the walls is boring and it makes it difficult to have a conversation if you have a large room. Instead, leave enough space between the wall and the furniture to walk through and group pieces together in the center of the room. Placing the sofa and chairs around the coffee table will create a warm and friendly environment where you can easily socialize with family and friends. It can be difficult to part with that old dresser that belonged to your grandparents or to get rid of some of your collectibles but sometimes it’s necessary. Overcrowding is a problem that will make your home look cluttered and unorganized. If you don’t have a use for a specific item, it’s time to let it go. If it’s something with sentimental value that you want to keep, you can always put it in storage. Decorating your home is full of challenges but it can be fun and exciting, too. These tips can help you get started but don’t hesitate to give us a call when you want some professional help creating the décor you’ve always wanted.